Understanding the grace of God: What does the grace of God do? The expression “Only by the grace of God” is used extensively among believers, as well as “Everything is by the grace of God.” What people mean by these expressions can vary widely. The usual understanding is that we are sinners and will remain sinners, and if we believe in Jesus’ death for us, we will obtain the glory of heaven through pure grace when we die. They do not believe that Jesus is doing a work in and through us so we will be worthy to walk with Him in white garments. (Revelation 3:4) They think that if it were so, then it would not be grace. This faith and this attitude are false through and through. No one comes to an overcoming life except by the grace of God, for it is His grace that chastens us to live soberly, righteously, and God-fearing in the present world. (Titus 2:11-12) Therefore the person who attains to such a life attains to it only by the grace of God, and not in his own strength. He can truly say, “Everything is by the grace of God.” For the others, the grace of God is in vain. When Abraham and Sarah received Isaac, they could say, “Only by the grace of God.” If they had received him earlier, while they still had hope, naturally speaking, God would not have been glorified; however, God does not give His glory to another. 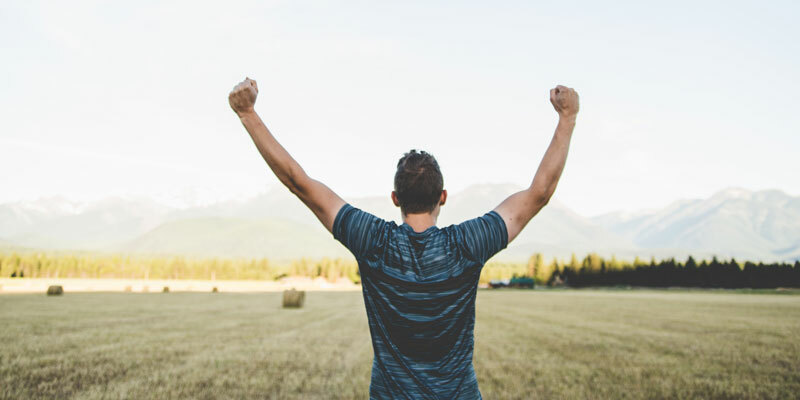 This also applies to those who want to live a life of overcoming sin“Victory over sin” means that you do not commit conscious sin – that which you know would be sin at that time when you are tempted. It doesn’t mean that you are without sin, but that temptation is overcome before it can become sin. (Romans 8:37; 1 Corinthians 15:57; Revelation 2:7)... More. They must be broken downThis refers to the process in which God breaks down a person’s own self-righteousness, strength, and pride so that they can come to a position of humility and obedience wherein He can use them to carry out His will. (Psalm 51:16-17; Isaiah 53:10)... More first so they become unprofitable in their own eyes. What does this mean? That it must become abundantly obvious that we do not have the strength in us to live this life. Most people have to find this out by trying and struggling to overcome sinSin is anything that goes against God’s will and His laws. To commit sin is to transgress or disobey these laws. The lust to sin dwells in human nature. In other words, it is contaminated and motivated by the sinful tendencies that dwell in all people as a result of the fall into sin and disobedience in the garden of Eden. This... More and resist temptation without giving up absolutely everything of themselves, and realizing that it is hopeless. This period is necessary in order for us to experience how much we need the grace of God to overcome sin. Most people have no understanding of this period of being broken down; instead they lose courage and give up. Abraham did not grow weak in faith when he considered that by the very laws of nature, it was impossible for him and Sarah to have a child in their old age. (Romans 4:19) He understood that if it did not happen solely because of the grace of God, that the glory would not belong solely to God; therefore it had to go this way. When a person loses courage during this time of being broken down, he does not solely believe in God, but he believes in some kind of combination of God’s and his own strength. Then God will not let it succeed, for then it is not all grace. If it is all by the grace of God, then it is also all victory. For where sin abounded, grace abounded much more. (Romans 5:20) “For sin shall not have dominion over you, for you are not under law but under grace.” Romans 6:14. When a person falls in sin, it is because he is strong in himself. He demands and he insists. Then he is not under grace, but under the law. In this case, God has to break him down first so he becomes weak. Then the power of Christ can dwell in him. “For when I am weak, then I am strong.” 2 Corinthians 12:9-10. Afterward, the grace of God can gain power over us. Grace and sin cannot have power over us at the same time, for grace is much stronger than sin. This article has been translated from Norwegian and has been adapted from the article titled “Only by grace” first published in BCC’s periodical Skjulte Skatter (Hidden Treasures) in August 1961. 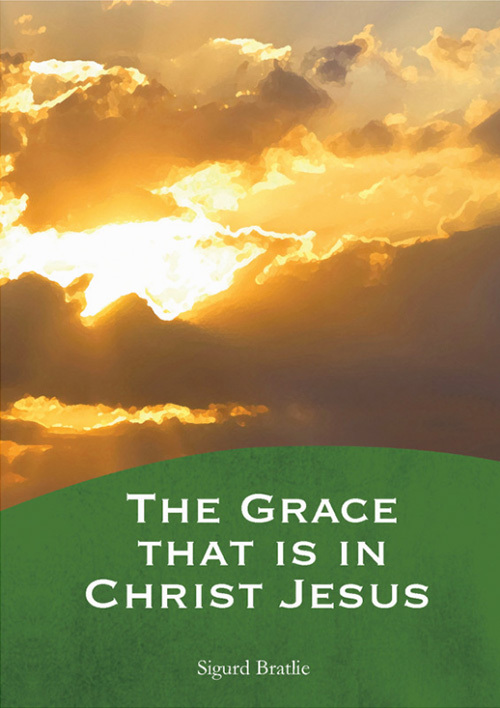 You may be interested in reading more on our topic page about grace. When you fightAlmost all talk of battles and wars when concerning a Christian life refers to the inner battle that arises when a sinful thought tempts you. God’s Spirit and the flesh are at odds. When you have decided to only do God’s will and are being led by the Spirit, a conflict between the flesh and the Spirit arises: there is... More against the sinSin is anything that goes against God’s will and His laws. To commit sin is to transgress or disobey these laws. The lust to sin dwells in human nature. In other words, it is contaminated and motivated by the sinful tendencies that dwell in all people as a result of the fall into sin and disobedience in the garden of Eden. This... More that wants to rise up out of you, it is important to prepare yourself ahead of time for battleAlmost all talk of battles and wars when concerning a Christian life refers to the inner battle that arises when a sinful thought tempts you. God’s Spirit and the flesh are at odds. When you have decided to only do God’s will and are being led by the Spirit, a conflict between the flesh and the Spirit arises: there is... More. But what is the critical moment?